Welcome principals, teachers, and educators! We all know how important it is to teach children lessons on self-respect, respect for others, and how to make positive life choices. 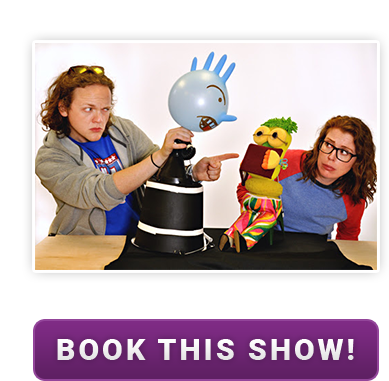 Puppetry is a fun and effective tool for doing just that. 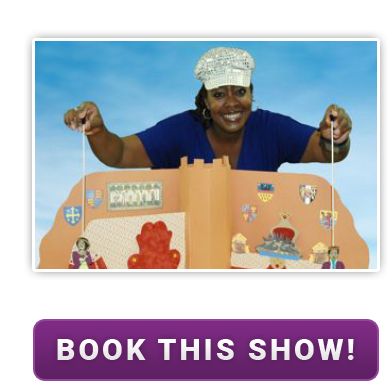 Here you’ll find a variety of puppet shows, each with their own unique lesson, that are available for your preschool and K-5 students. Magnificent is a teen inventor who dreams of becoming an engineer on the first manned mission to Mars. Magnificent’s hilarious robot sidekick, Dinobot, is programmed to fetch balls and to help Magnificent use the scientific method to compete in the Mission STEAMpossible Challenge. When her dreams collide with the needs of her little brother, Marcus, who is physically disabled, Magnificent learns that through her own ingenuity and engineering skills, she can help her brother and still reach for the stars. 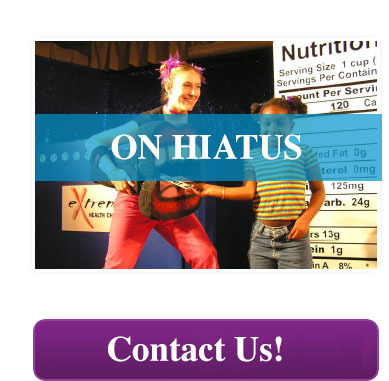 Mission STEAMpossible connects with audiences through its compelling story, engaging them on an intellectual and emotional level. 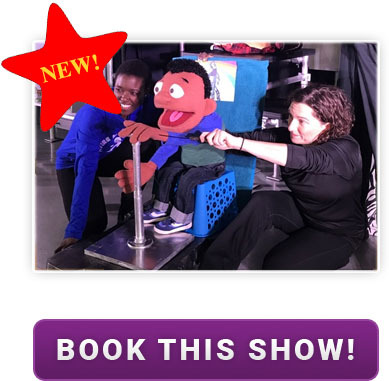 Puppets and captivating visuals draw young people into Magnificent's world, inspiring them to apply science, technology, engineering, arts and math to solve everyday problems and change the world for good. Take a trip around the sun and explore the seasons, shapes, and surprises in the world around you! Discover Math and Science transforms Pre-K and Kindergarten students into explorers, teaching introductory math concepts such as the importance of insects, counting, shapes and more. The beautiful scenery and endearing puppet characters transport children into a world of imagination that get students excited to discover math and science. Witness a bullying situation? Join the Upstander League! Fielding calls from bystanders in distress, audiences transform into The Upstander League's latest recruits, practicing the tactics to go from bystanders to upstanders. Are you ready to laugh, learn, and empower the upstander in you? When a friend is bullied at school, Pancake the Pig doesn't know how to help. As the bullying gets worse, Pancake and his friends soon learn the difference between tattling and reporting, the definition of bullying behavior, and how to stand together to stop the bullying. A Good Day for Pancake encourages empathy, demonstrating to young audiences how to go from bystanders to upstanders. 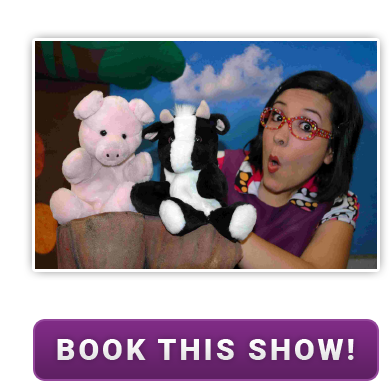 Featuring engaging music and cuddly puppet characters that interact directly with audiences, laugh and sing along with Pancake and his friends as they learn a valuable lesson in bully prevention. Rhyme Time is centered on literacy for your youngest learners. Rhyme Time gets kids excited and ready to read through rhyme, rhythm, and repetition! 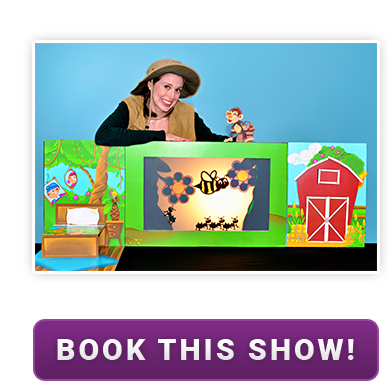 Using a delightful, oversized pop-up book and whimsical puppet characters, this enchanting musical show brings to life familiar nursery rhymes that will have young children laughing and learning essential pre-reading skills.